Kenyan born Njeri Kabeberi, has been named as Executive Director for Greenpeace Africa (GreenpeaceAfrica.org) after an extensive search for a combination of skills required to drive the organisation towards a people –powered movement. According to the Greenpeace Africa Board, Africans are hungry for a new story, one with a better take on nature, on humanity, their livelihoods, their future and their connection to the earth. 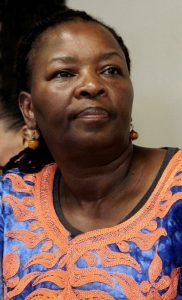 “It was critical to find someone who embodies passion, activism and understands the context of environmental justice in Africa and we are confident that Njeri represents that” said Greenpeace Africa Board Chair Brian Kagoro.